Hyacinthus orientalis in flower. 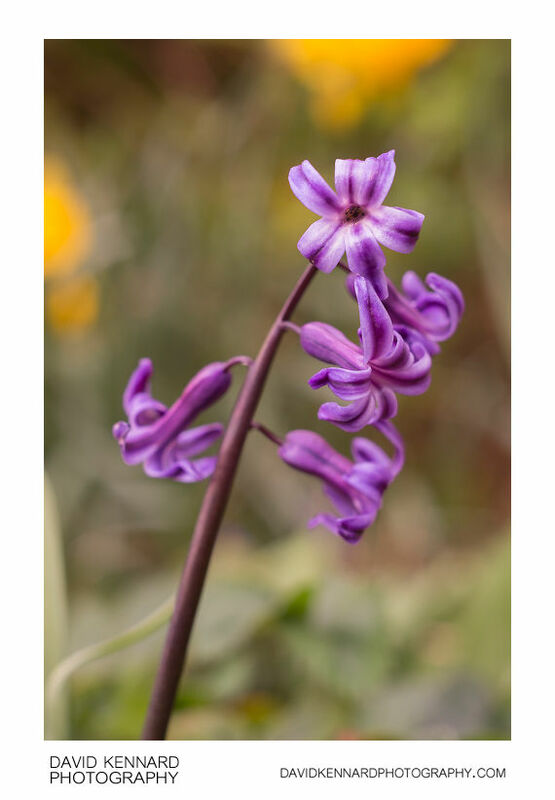 Commonly known as the Common hyacinth, Garden hyacinth or Dutch hyacinth, the uncultivated plant typically bears between 6 and 8 flowers on a single flower spike. The flowers have 6 tepals that are fused together to form a tube around 2 - 3.5 cm long, then splitting at the end where the tepals bend back on themselves. They have 6 stamens and a single stigma, which are recessed in the flower's throat. Benro tripod with reverse mounted centre column. Geared head and focusing rails. Remote shutter release. Natural light. 2 images with slightly different focus.